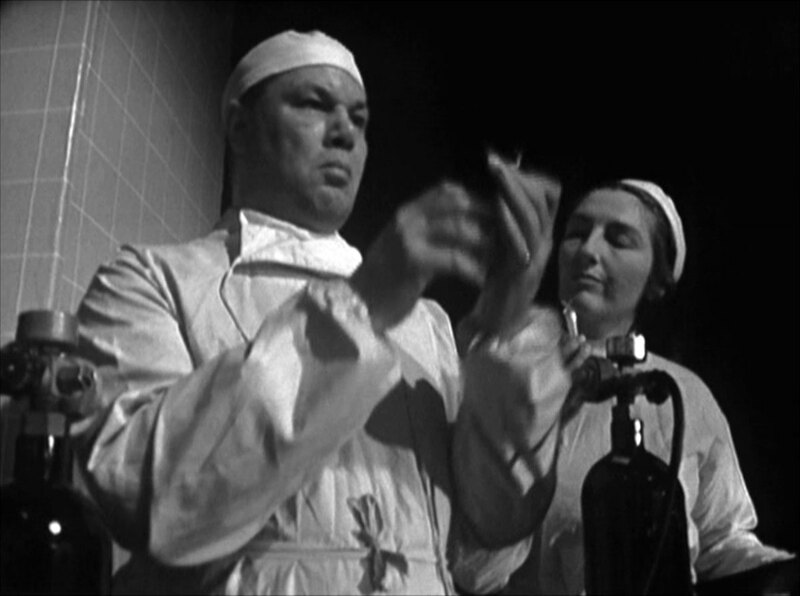 Dr Vilner of the Mont Blic Clinic (Steven Scott) demonstrates his live tissue transport cylinder to Neil Anstice (Peter Bowles), Dr Eve Hawn (Judy Bruce) and Steed - the blood medium will keep the tissue alive and allow the successful grafting of new corneas onto damaged eyes, restoring sight. 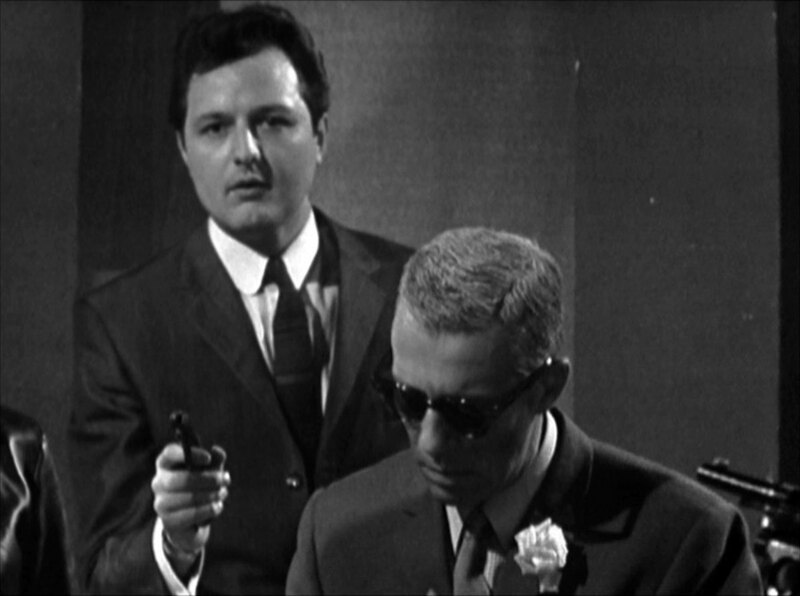 Steed is suspicious, and asks Cathy to approach the intended recipient, millionaire Marten Halvarssen (John Carson), and get the details of the operation. 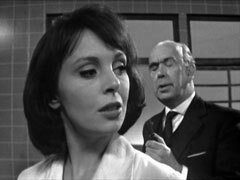 A worried Dr Vilner arrives before her, wanting to pull out now that a doctor has become involved. Anstice tells him they're paying him very well, even if just for his name, and not to worry. 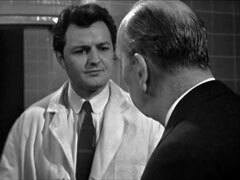 Cathy learns nothing more than they intend to take the corneas from a live donor, so Steed calls on a family doctor, eye specialist Dr Spender (Ronald Adam). 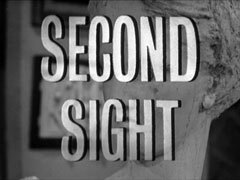 Steed goes to Halvarssen's apartment and meets the reclusive blind man, who demonstrates formidable shooting skills, despite his blindness. Unbeknownst to Halvarssen, his fiancée Dr Hawn and Anstice are conducting an affair. Spender insists on observing the operation, leading to more consternation in Halvarssen's camp, but he and Cathy end up travelling to the clinic in Switzerland. Once there, they are constantly put off and prevented from seeing the donor, Hilda Brauer. Cathy goes in search of her herself, discovering an empty room with a half-finished portrait, a wheel-chair and some flowers. 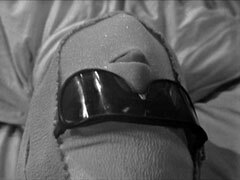 Anstice discovers her there, and arranges an audience with the patient, but all they see is a heavily bandaged person in a bed, with tinted glasses over the eyes. Cathy goes to the village to ring Steed, and he's discovered that a corneal graft won't fix Halvarssen's sight anyway - he was blinded during the War. 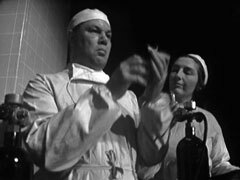 She returns to the clinic and attends the ill-lit and secretive operation, but Spender never arrives - he's lured to the patient's room, and the bandaged person pushes him over the balcony 800 ft to his death. 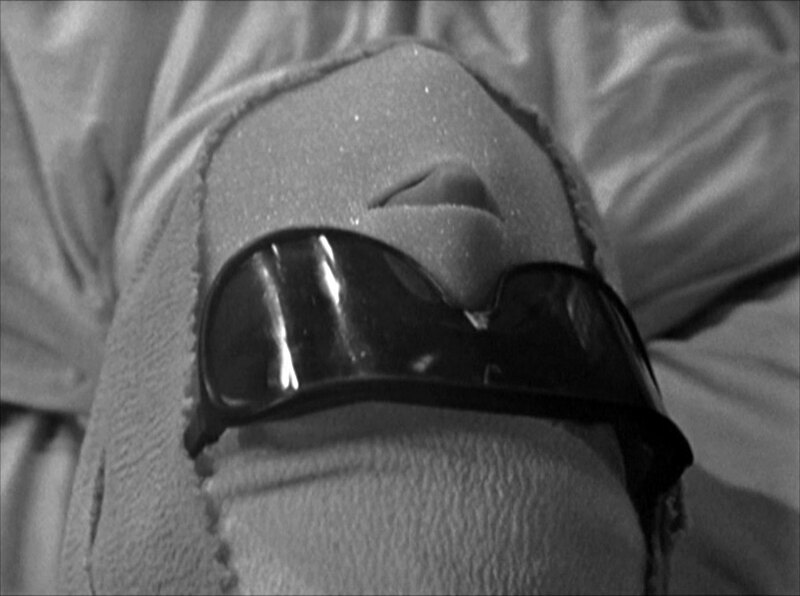 The bandaged are pulled off and the person is revealed to be Steiner (Terry Brewer), Anstice's right-hand man. Back in Britain, Steed passes the container through customs even though he knows it doesn't have corneas in it. Cathy arrives at Halvarssen's just after he's spoken to Anstice, and tells him about Spender's death, which shocks Halvarssen. Dr Hawn tells Cathy never to return, while Halvarssen berates Anstice and Steiner for Spender's death. Later, Steed tells Cathy that 'Hilda Brauer' was Henrietta Miller, an English artist who had befriended Halvarssen during the War. She was fished out of the Rhine four days ago, dead, long before the operation. The case arrives and Anstice turns over the contents - diamonds! However, Halvarssen is suspicious of him and alarmed that he had become sunk in deep with professional criminals, so he drags one across some glass and finds no scratch, revealing Anstice's double-cross. Anstice pulls a gun, but Cathy turns up to prevent Halvarssen's death. 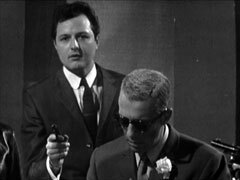 While the villains apprehend her, Steed emerges from his hiding place in the lift and the Avengers overcome them, with the assistance of Halvarssen's blind shooting skills - having learned that Anstice killed his old friend Brauer as well.